This "Historically Speaking" column appeared in the Exeter News-Letter on Tuesday, ​​​May 14, 2013. When Marion Tyler attended the Robinson Female Seminary, there were few athletics offered to her. Sure, the seminary had been concerned with physical health since its incorporation in 1867. Principal Cross mentioned, in 1901 that, “all classes are getting regular and systematic exercises in physical training.” Young Marion, attending a decade later, was probably not impressed. In 1910 there were still no team sports, at least none played against other schools, offered. Improved attempts to bring physical education to the Seminary arrived in 1915, when Esther Watson was hired as a PE teacher. She began a formal program of folk dancing, marching, games, drills with wands, Indian clubs, dumbbells and aesthetic gymnastics – all believed to be quite suitable physical training for young women. Marion Tyler, who had graduated from the Seminary in 1912, went on to the Sargent College of Health and Rehabilitation Sciences, a part of Boston University, and received her degree in physical education. 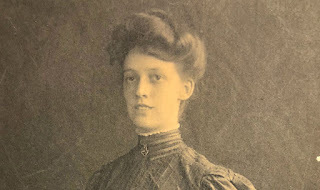 There she must have learned the value of team sports because in 1916 she returned to Robinson to teach the girls basketball, tennis, baseball and volleyball. The progression toward varsity sports moved forward in Exeter’s schools. At the boys’ school – Tuck High School, football and baseball teams were formed by 1910. Inter-class play, what we would call intermural, had existed for years, but the idea of playing teams from other schools was new. Boys in Exeter could always join one of the town teams, but these were mostly for the adults. Baseball had been a popular town sport since the end of the Civil War and football, which required more equipment and a larger field, seems to have only been played at the Academy or in town pick-up games. During the fifteen years following 1910, baseball and football were the only varsity sports offered to boys at Tuck High School, and these were suspended in 1919 due to World War I and the outbreak of Spanish Influenza. 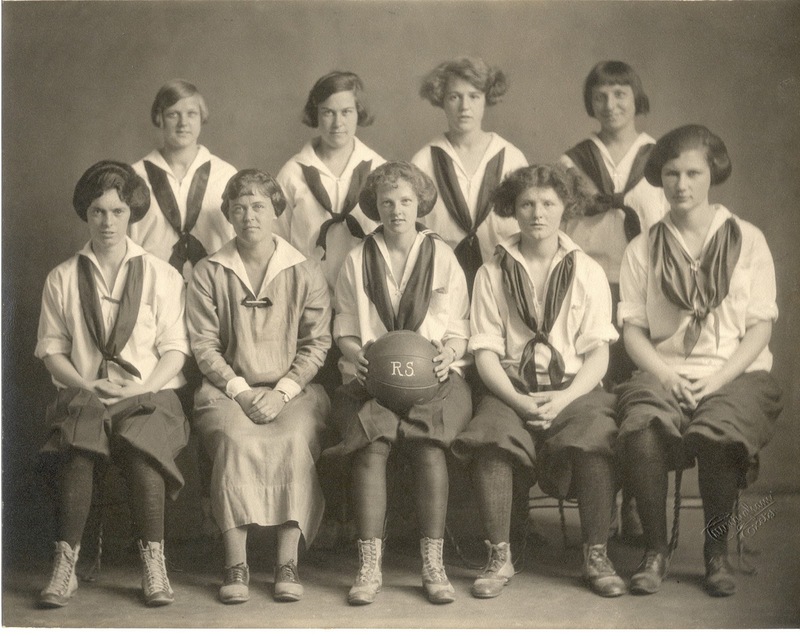 Basketball became popular just before the war at both Tuck High School and the Robinson Female Seminary – but not at the varsity level. Finally, in 1925, the Exeter School report was able to announce, “a basketball team was organized this year, and, although there were no experienced players on the team, a very credible record was made inasmuch as we won a majority of the games played.” Basketball would remain a staple of the boys’ athletic program from that time on. A Junior High team was formed to train future varsity players. At the Seminary, basketball caught on after Marion Tyler taught the basics to the girls. Unlike the boys, there were always concerns about young ladies playing team sports - all the rough housing might injure their femininity. In 1920, a gym uniform was introduced consisting of navy blue serge bloomers, a white middy blouse, black stockings and high black sneakers. The costume was so scandalous, that Principal Bisbee would routinely patrol the Lincoln Street train station to make sure the girls wore a suitable coat over their gear to cover up. A student publication, “The Totem Pole,” announced in 1928 that the Seminary basketball team had played Traip Academy and won 50 to 8. The Seminary had begun playing varsity field hockey the previous year and by 1947 there was also a softball team. Much of the growth in sports at RFS had been encouraged by the arrival, in 1919, of Barbara Warren who would remain the director of physical education and athletics until her retirement in 1952. Track and Field events arrived at Tuck High School in 1948. The school was somewhat limited by lack of suitable playing fields. During the first part of the century, Tuck High School was dependent on sharing facilities with Phillips Exeter Academy. Basketball practices were frequently shortened to accommodate both schools. The girls at Robinson had it even tougher – they had no gym at all. By the 1950s the value of physical education and team sports were accepted in the public mind. Perhaps it took an event like World War II to bring about this understanding. 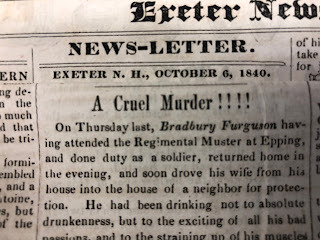 In Exeter, the opportunities for girls’ athletics were available to a larger degree than in many other towns, probably because girls were taught separately from boys and had their own school and teams. When Tuck and Robinson merged in 1955, there was already a well-established program of athletics for girls. At her retirement, Barbara Warren noted, “During the six years that a girl attends the Seminary she is taught marching and calisthenics, folk, tap, square and ballroom dancing, basketball, field hockey, soccer, speedball, softball, badminton, croquet, ping pong, tennis (when the courts are in condition) and many relay games. From these she can acquire coordination, good posture, and sportsmanship. She will also develop skills which will have a carry-over value in adult life.” We can only hope the boys were able to keep up. This year, in honor of the town’s 375th birthday, Exeter High School will be highlighting the many participants in Exeter athletics at Hawkfest on May 17th at 7pm at the High School. Tickets are available in advance at the high school or at the door; for more information call: 775-8647. Photo caption: Robinson Female Seminary basketball team, 1923. The girls are wearing their liberating yet much maligned gym uniforms. Varsity sports at the Seminary were encouraged by coach Barbara Warren (seated 2nd from left in the front row) who worked at the school for 33 years from 1919 – 1952.